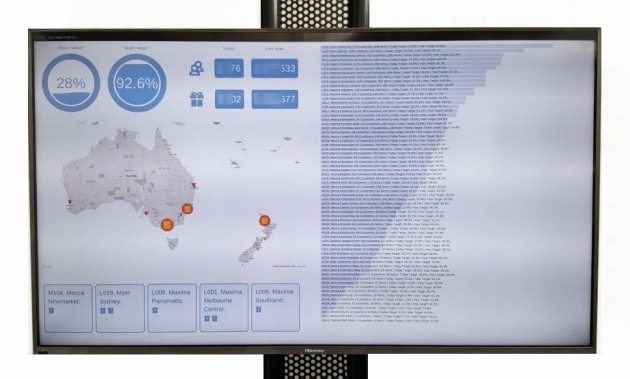 Web Application that asynchronously collects, aggregates and visualises data from about 70 stores across Australia and New Zealand. All calculations and charts are updated with every new transaction. On the photo the application is running on 55'' TV screen with Raspberry Pi as a client. 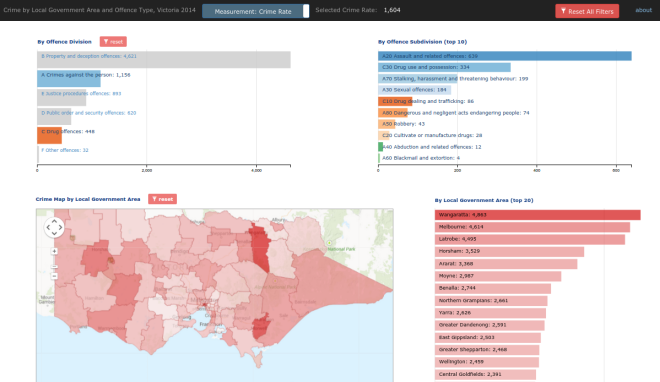 This App visualises Number of offences by suburbs in VIC, Australia and offence type, year ending December 2016. The data is rendered as a multidimensional visualisation. 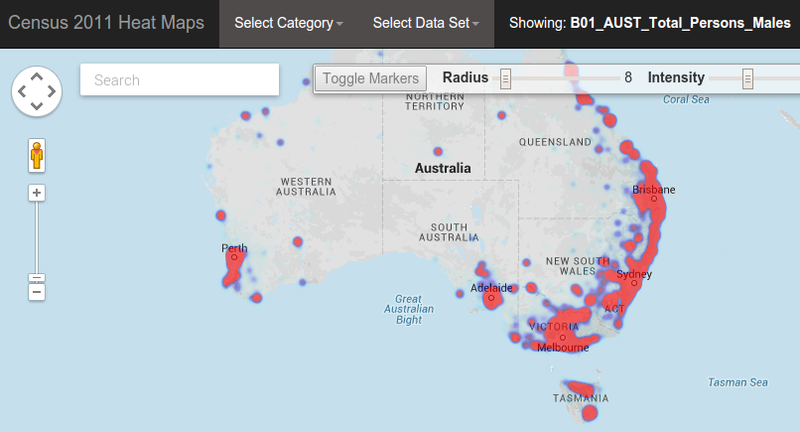 All charts, including Crime Map are inter-connected and interactive, so you should be able to narrow down data to a subset of your interest within just a few mouse clicks. 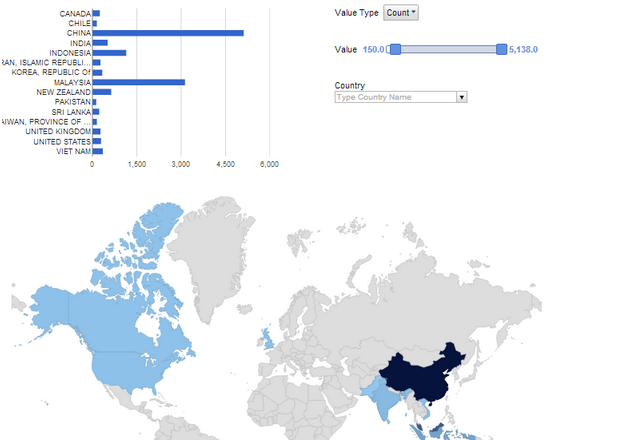 You can switch between Actual Offence Numbers and Crime Rate data views / measurements in the navigation bar. 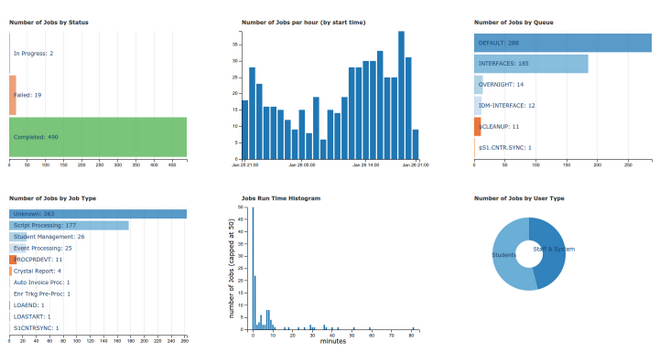 This Application collects information about running system jobs, builds a dashboard with cross-filtering features for exploratory analysis and sends email alerts about failing/hanging jobs. Data and visualisations are refreshed every 10 minutes 24/7. Runs on Amazon Web Services. This Application collects Tweets posted in Melbourne, VIC (based on geotagging), does some Natural Language Processing and renders a Word Cloud of the most popular words and a 'Tweet Rate' Chart for the last 24 hours. 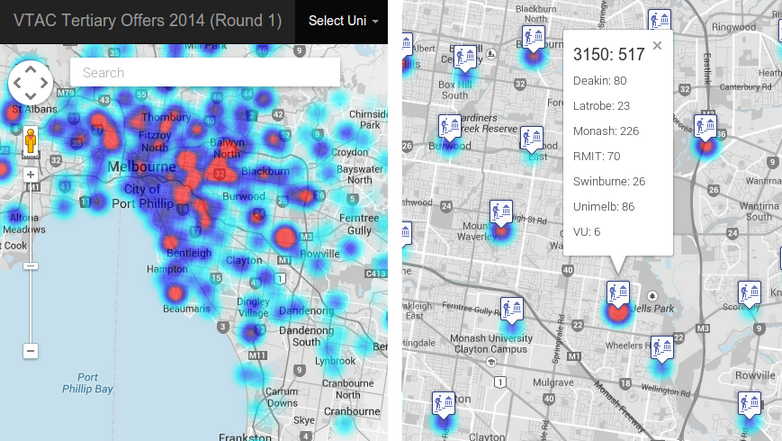 This App aims to make Australian Census Data more accessible by rendering it on Google Maps. The initial inspiration for building this app was to make it easier for my collegues working with VTAC data sets (which in tabular format contain more than 700 fields per each applicant record thus making navigation and searching very challenging) as well as identifying potential matches with existing records in the University Student System Database. With time we have built some more features ('Fuzzy Search', 'Student Details Snapshot', etc.) into this application. Solution for building and visualizing complex multi-level Study Package Structures (more than 360,000 individual elements with more than 14,000 structure combinations). This Application was build for Student System Enhancement Project and significantly symplified comparison between old and converted structures during the system upgrade. As name suggests, this Heat Map represents density of students that have been offered a place at several biggest Universities in Victoria. 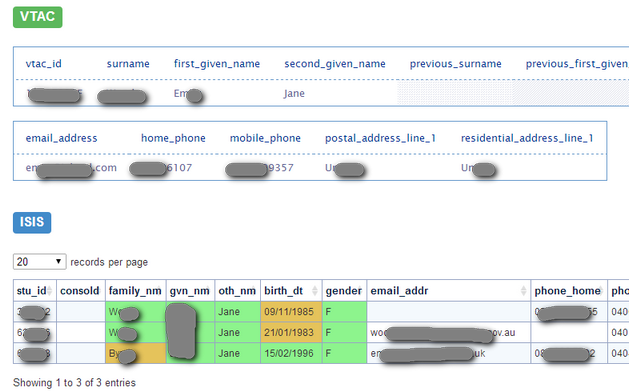 Solution for automated data collection, cleansing and reporting (including customised point-click dynamic pivoting). This was built as a web application that collects raw data from pre-defined web sources, then does some cleansing and aggregation and feeds result data into dashboards with dynamic pivoting features and some visualisations. ASX Stock Data is automatically collected from Yahoo Finance with 20 minutes intervals and processed with linear regression tests. Collected data and Test results are stored in PostgreSQL database. 'Built in' IPython HTML Notebook with Python Data Analysis tools allows flexible and direct access to the stored data.